Bahrain is in need of more Overseas Filipino Workers (OFWs) but the very slow processing affects the deployment of the OFWs in the said country. According to Secretary Silvestre Bello III of Department of Labor and Employment (DOLE), this issue was brought up to him by the assistant labor secretary of Bahrain in their meeting. In the Philippines he said, it takes about six weeks to process the deployment of the migrant workers, considered a very slow compared to the case of Indonesia and India who can send migrants workers in a matter of two weeks. Based on this, the labor chief said it is clear that Bahrain prefers Filipino migrant workers. 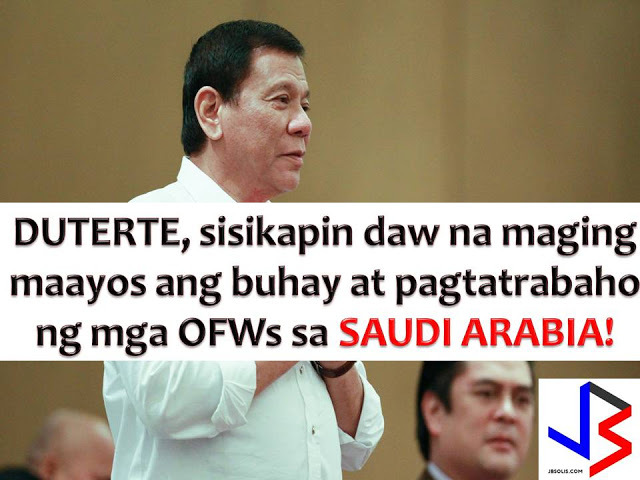 On the other hand, Qatar and the Philippines have signed trade agreements worth $200 million during the final leg of President Rodrigo Duterte's Gulf tour. 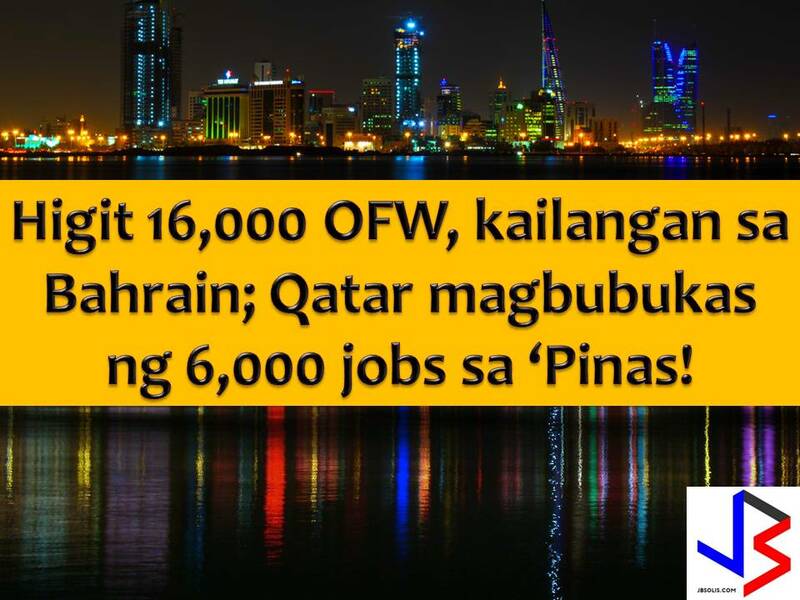 Department of Trade and Industry (DTI) head Ramon Lopez there are 6,000 jobs would be created in the Philippines as a result of the 13 agreements signed between private companies in Qatar. The agreements covered areas such as health, defense, and tourism. "There are many more opportunities where they can invest." 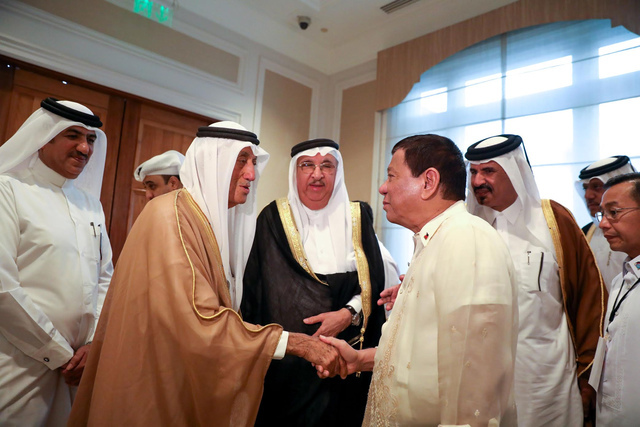 Earlier, Presidential Spokesman Ernesto Abella said that President Duterte's 3-country trip to the Middle East will create around 62,000 jobs from $925 million in investment deals. A better working condition for millions of Overseas Filipino Workers (OFW) in Saudi Arabia.